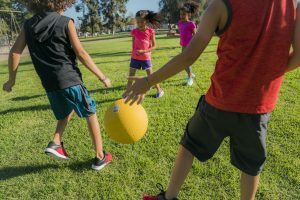 A recent article published in the Daily Mail details a new research study which found children who were picked last or excluded in gym class were more likely to exercise less as adults. 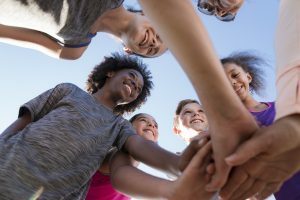 While not a surprise, this is cause for great concern, as standard gym class structure is centered around the idea of competition and being graded on participation. 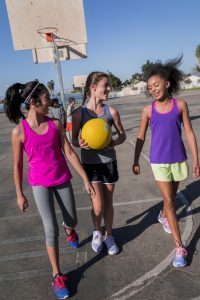 If young children are being turned off by gym class and physical fitness at an early age, they will be far less likely to be active as an adult and therefore more susceptible to becoming obese, put at risk for heart disease, and have a shorter life expectancy. Recent study results from the World Health Organization validates this research, showing that one in four people worldwide are physically inactive. Despite increased efforts to educate on the topic these stark numbers released in 2018 have remained unchanged since 2001. Results derived from study author Dr. Panteleimom Ekkekakis of Iowa State University suggest that a person’s memory of PE class has “some degree of influence on their self-perception and the degree of their sedentariness.” Experts suggest that PE classes should shift focus onto team work versus an individual’s performance, in order to strengthen a child’s happiness and/or future health. m provides children a safe environment to practice skills through play, while building confidence and developing lifelong healthy habits. Understanding that the pre-teen age is pivotal in a child’s development; we are also excited to announce that we have recently enhanced our BOKS Middle School Curriculum. This curriculum originally included a traditional full 12-week BOKS session, and now has an additional session that combines functional and fundamental fitness that better aligns with the National PE Standards. At the end of the day, we need to get more kids moving. However, we want to ensure that the kids are enjoying the experience so that they continue to be active throughout their lives. By implementing the BOKS program into your school, you are helping children develop a healthy relationship with being active and therefore setting them up for a healthier, happier, more active life. If you, or someone you know, would like to bring BOKS to a community near you, click here to enroll your school!